Growing up in Cebu, we were constantly reminded of the importance of venerating the miraculous and iconic Santo Nino, whose feast was celebrated annually every third Sunday of January. This imbued in us a strong sense of tradition and devotion that remains a powerful reminder of our upbringing. Even to this very day, out-of-towners, visiting relatives and balikbayans who were brought up with the tradition, or who used to call Cebu home, often make it a point to immediately pay a visit to the Santo Nino shrine to pay homage and to give thanks for a safe journey. Other devotees seek blessings on behalf of their families, a sick relative, ask for financial favors, or simply to seek solace and bask in the glow of the divine image. Thus the novena to this Holy Child calls upon us to "ask and you shall receive, seek and you shall find, knock and the door shall be opened" for petitions and personal favors. 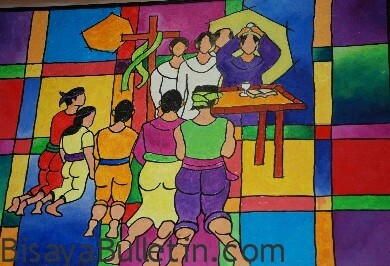 History 101 revisited presents a visualization of Magellan during the baptism of King Humabon and Queen Juana. The latter was given an image as a gift on April 14, 1521. 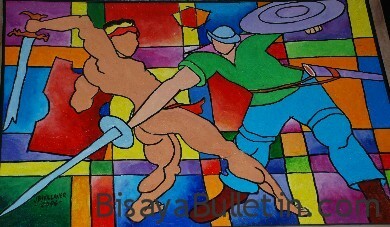 Forty-four years later, on April 27, 1565, the Spaniards, led by Miguel Lopez de Legaspi and accompanied by Fr. Andres de Urdaneta, returned to formally christianize the Cebuanos . This time around, though, the visitors were met with antagonism from the natives which led to open hostilities. In one of the resulting conflicts the village was set on fire. It was in one of the burnt houses that a soldier, Juan Camus, found the image of the Santo Nino, blackened yet otherwise unscathed. That very same image, adorned with gold and precious stones is enshrined and venerated at the Basilica named after this famous statue. 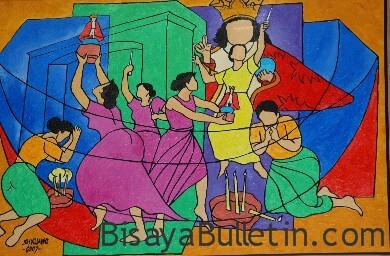 It is considered to be the oldest religious relic in the Philippines. The devotion to the Santo Nino has been indelibly ingrained inside every Cebuano and has expanded to include other, just as devout followers from the neighboring islands in the Visayas, Luzon and Mindanao. 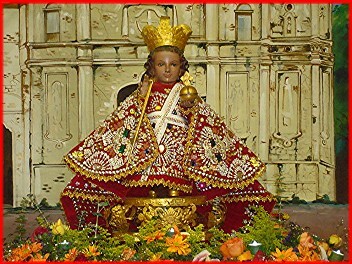 It is our fervent belief that the Santo Nino never fails to grant each favor that we ask in His honor. In this regard, we dance in unison and loudly shout "Pit Senor" while waving candles or images. While dancing, we often carry our little childen in our arms, asking for blessings, or we present our sick to pray for a cure. We even wipe the shrine with our handkerchiefs and dab them on our faces or the ailing parts of our body in the hopes that all our problems will be solved and all our ailments will be miraculously cured. We light candles to symbolize our petitions. Favors are granted through various ways and means. Thus, increasingly, more and more devotees flock to the shrine to attend early morning mass and Friday novenas. The place is always filled to capacity. 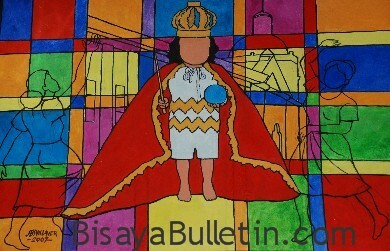 The feast of the Santo Nino is celebrated in other places around the world in different ways. 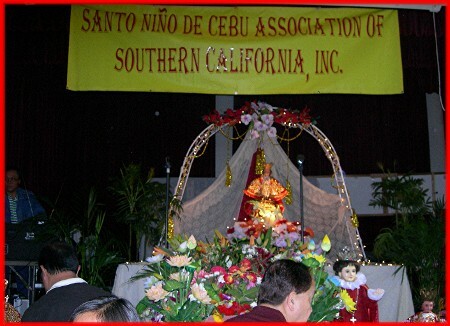 In Southern California, the devotion to the Santo Nino takes on an enthusiastic incarnation, influenced by a diversity of perspectives, cultures and origins, but still unified under one devotion and faith to the little Child. 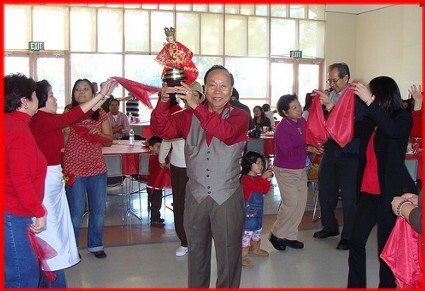 Annual celebrations are held in Long Beach, Buena Park and Lakewood. It is from these ardent, glorious festivities that we warmly proclaim "Pit Senor!"